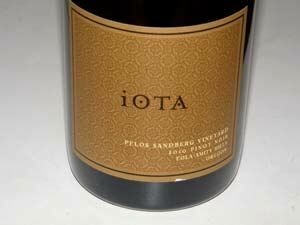 iOTA Cellars is a new name on the Oregon Pinot Noir scene. 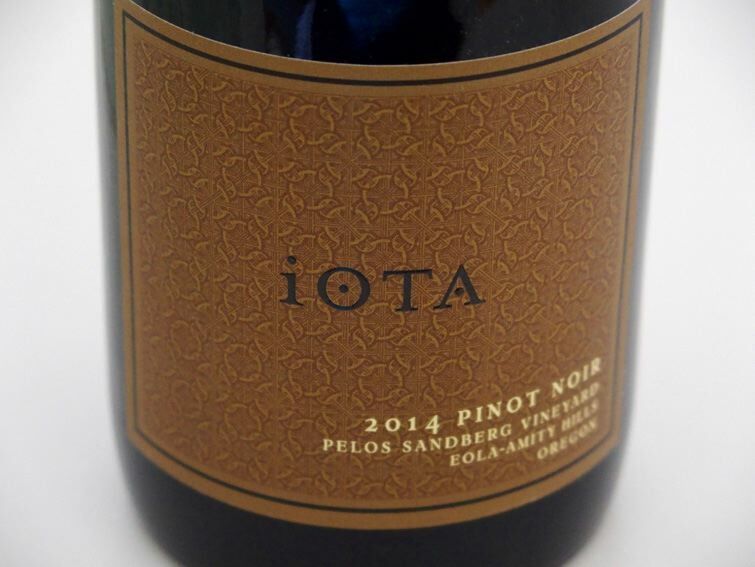 The name, iOTA, refers to small quantity, reflecting the winery’s commitment to small yields, small lots, and small case production. 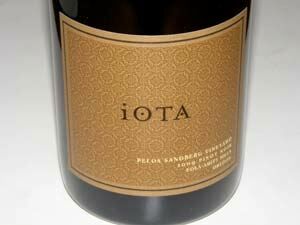 In 1999, Don and Johanna Sandberg moved to Oregon from Minnesota, purchased land in 2000, and began a commercial winery in 2006. The pair have been making wine on a non commercial basis since 2002, initially from purchased grapes and then from their own beginning in 2004. 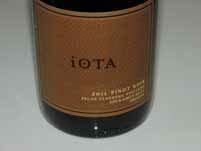 The 2007 wine is the second commercial vintage. Like a number of Oregon winemakers, Johanna gained her basic winemaking knowledge at the NW Viticulture Center in Salem, Oregon along with well-known winemakers Tina Hammond (Privé) and Laura Volkman (Laura Volkman Wines). She interned with the Casteel family at Bethel Heights and Bryce Bagnall when he was the winemaker at Witness Tree. 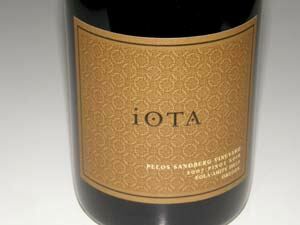 The estate Pelos Sandberg Vineyard (PSV) consists of 11.5 acres in the Eola-Amity Hills AVA planted to Dijon 667 and 777, Pommard and Wädenswil clones. The vines are farmed sustainably and non-irrigated. Grapes have been sold to Beaux Frères, Bergström Winery and EIEIO & Company, but most recently only Rex Hill and Big Table Farm.